Here we go again... The turnstile of restaurants, otherwise known as that hidden location inside the plaza on the Southwest corner of Nordel and Scott Road, has continued turning. With yet another Pho joint (the 3rd in the past half year), Bookworm and I decided to try it out, like all the other ones so far. Now named Pho Thai Luong, there was at least a few tables filled unlike the other times. Maybe they might last more than a few months??? I surely hope so, for the sake of the owners! We decided to both try out the Pho on this visit. On my first sip of the broth, the hit of saltiness and extreme flavour was an indication of MSG. 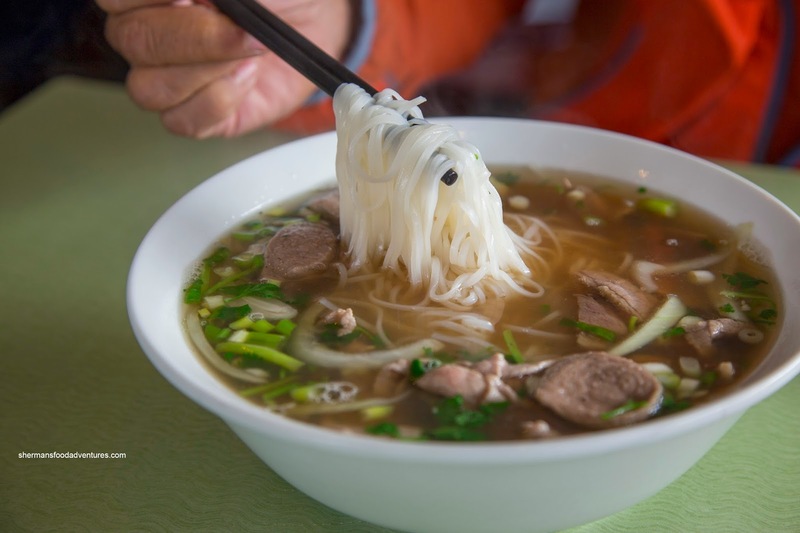 Despite being too salty, there was a natural meat taste that is more often than not missing from most Pho in the city. I found the noodles to be toothsome and not in a clump. The meats were rustically cut as they were jagged. Hence, some where not as tender as it should've been. Furthermore, I found the amount of meat to be sparse. 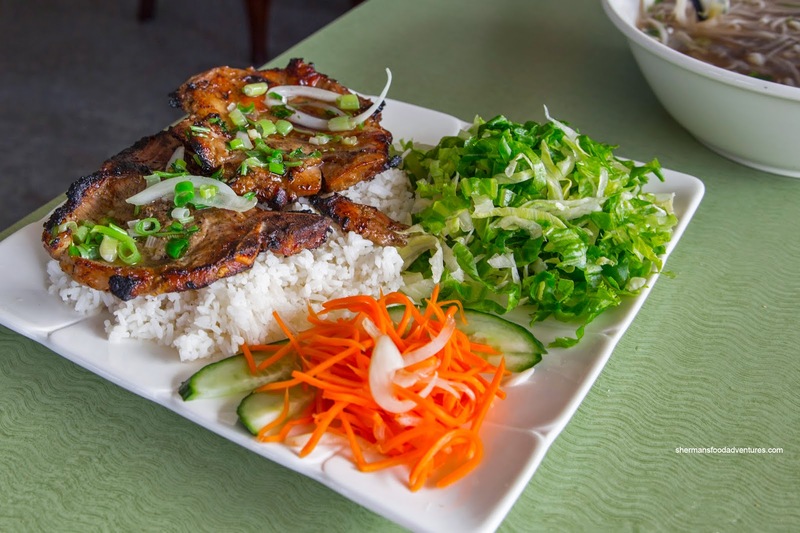 On a repeat visit, I decided to try a few more items including the Grilled Lemongrass Chicken & Pork Chop on Rice. This was a substantial amount of food that sported 2 large pieces of meat. I found the chicken to be lightly charred while well-seasoned with a definite lemongrass hit. The meat itself was sufficiently moist and tender. Unfortunately, the pork chop was dry and chewy which could probably be attributed to its thickness. It was well charred and seasoned though. Fluffy and chewy at the same time, the rice underneath stood up to the moisture. 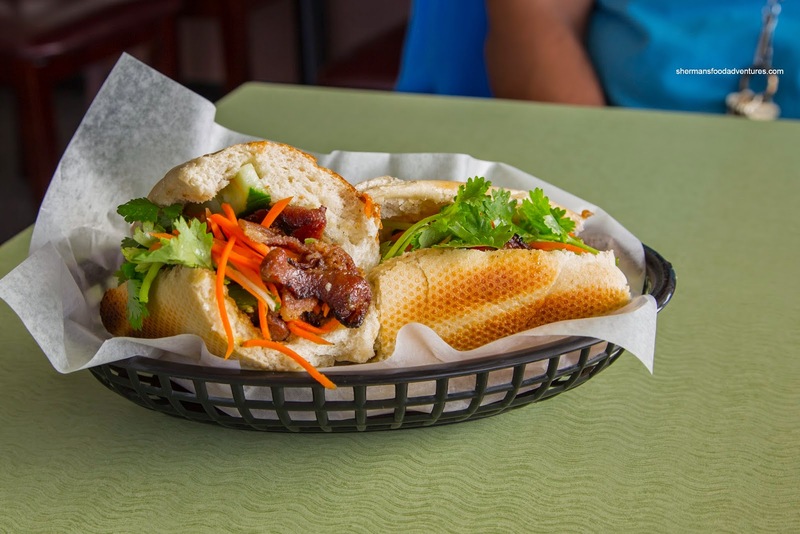 I also tried the Grilled Pork Banh Mi and it was fantastic. Crusty, airy and nicely toasted, the baguette held up to the considerable amount of pork inside. The pork itself was well-charred and fatty. Hence, it was smoky, flavourful and succulent. 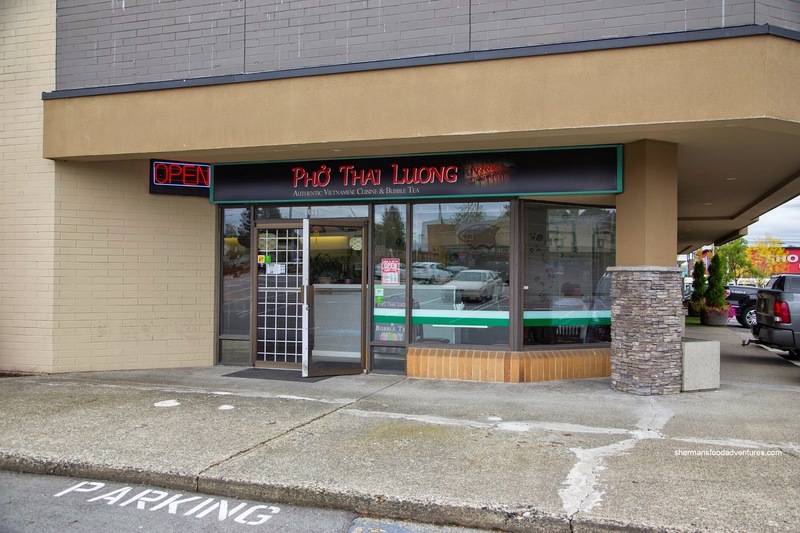 To be frank, Pho Thai Luong isn't much better than the previous 3 Vietnamese restaurants at this location. However, that doesn't mean the food isn't acceptable. My hope is that they stick around.